May 14th, 2014 marked the anniversary of the site that was once modthesims2.com and morphed into the current modthesims.info. As an upload to celebrate this, I decided to make a nightclub community lot which would feature NPC versions of our esteemed admins doing various things in a VIP room. Unfortunately, time was not on my side and the CC list for the lot and NPCs were much too long for my comfort (and most downloader's patience, I'm sure ). 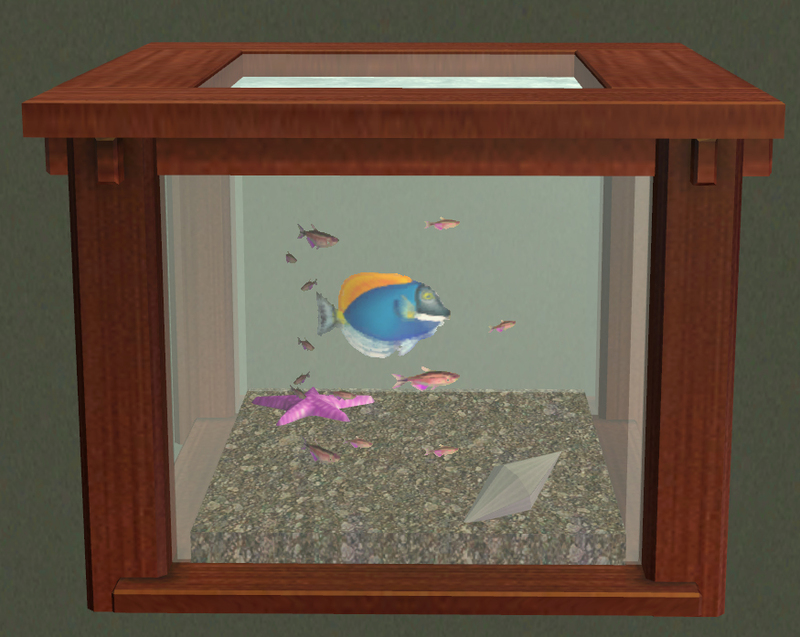 Rather than throwing the whole project in the Recycle Bin, I figure I would upload the one admin who was not presented as a NPC and whose presence could thus grace any Sim's home: our very own Leefish. Although considered by some as a subspecies of the powder blue tang, the LeeFish still goes by the name of Acanthurus leucosternon in the scientific community. Like other fish in the Acanthuridae family, it is herbivorous, eating mostly benthic algae, and typically has a diurnal activity. However it may spend its nights programming, creating digital media, or blogging. 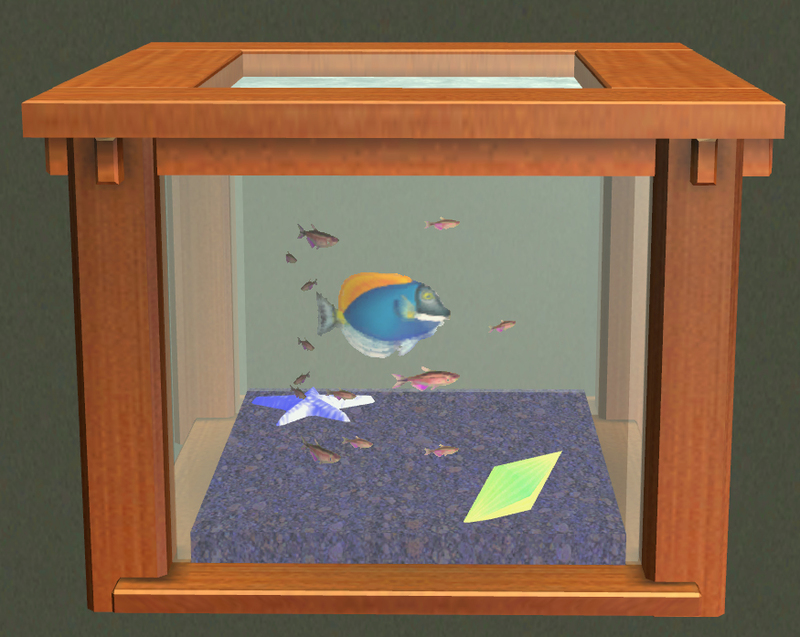 Now your Sims can enjoy a tabletop aquarium, complete with this remarkable fish taken directly from coasts off the former Leesester province. 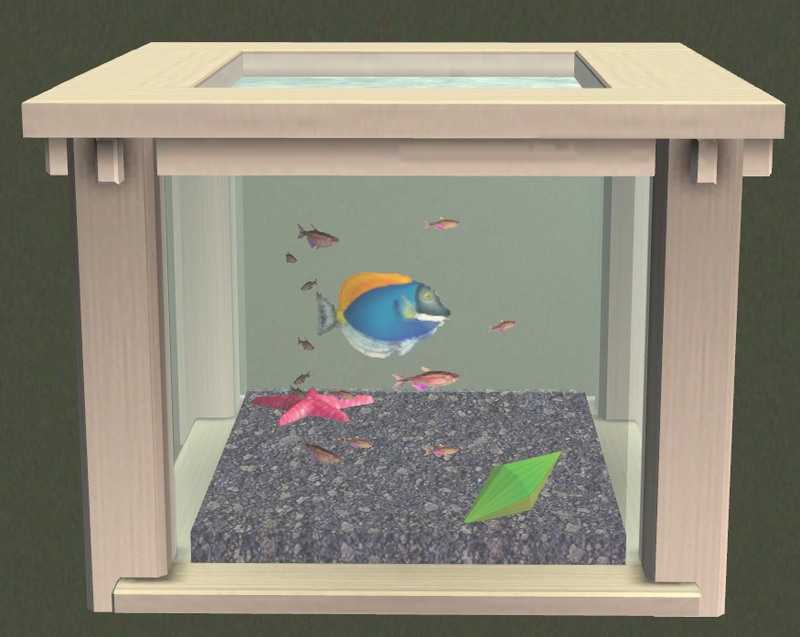 Sims should not try to place anything in/on the fish tank and, in fact, should be quite apathetic to her as she swims laps around her tank. If placed on the floor, Sims will walk around it. 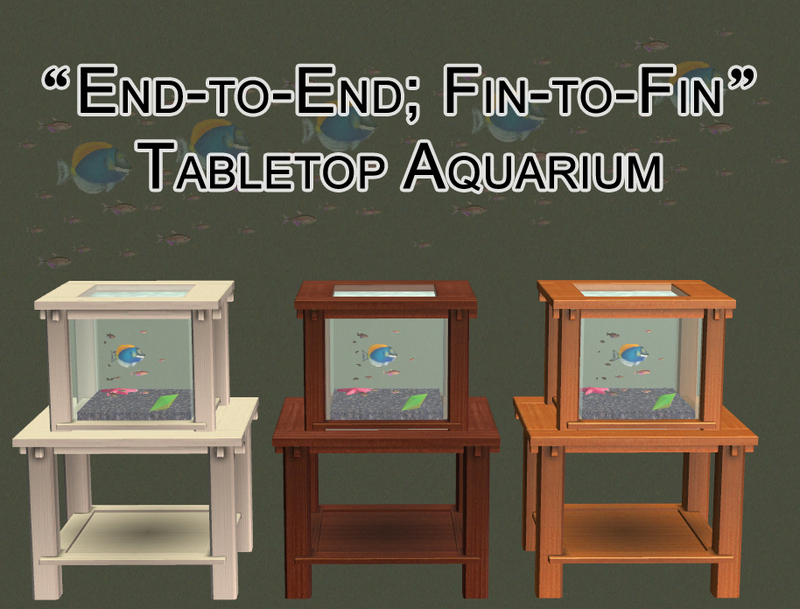 No maintenance is required and I have included two additional recolors. As always, please let me know if there are any problems. MTS, its staff, and its members!